Water locked underneath icecaps or glaciers can tell usabout our planet's past and its possibly warmer future. Similar environments ondistant worlds could tell us whether life can originate in these harshconditions. To study the icy depths, a Swedish team of researchers is designinga tiny submersible that can slip down a narrow borehole. There exists a menagerie of different remotelyoperated underwater vehicles (ROVs), some of which have already studied thefrigid boundaries between ice and sea. However, none of them are compactenough to snake their way several kilometers below the ice. "Most of the other ROVs are not this small because theydon't need to be," said Jonas Jonsson of the Ångstr?m Space TechnologyCentre (ÅSTC) at Uppsala University in Sweden. In response to growing interest in studying sub-glacial lakes on Earth,Jonsson and his colleagues are developing a cylindrical probe 5 centimeters acrossand 20 centimeters long ? smaller than two soda cans stuck end to end. The original idea for a miniature submersible came out ofthe Jet Propulsion Laboratory (JPL) in Pasadena, Calif. The mini sub was partof a potential mission to Jupiter's moonEuropa, in which an ice probe would drill through the moon's thick iceshell and release the sub to explore the ocean thought to be dwellingunderneath. Jonsson and his colleagues are further developing this idea,but applying it to a more immediate goal: studying sub-glacial lakes on Earth.Scientists believe these isolatedpools of water may have trapped life forms from possibly millions of yearsago. The small submersible that ÅSTC is designing could easily becarried by hand on a helicopter or snowmobile and dropped down a previouslydrilled borehole. It could also be launched off the edge of an ice shelf tostudy the impact of global warming on the interaction between ocean and ice. With funding from the Mistra Foundation, which supportsenvironmental research in Sweden, the team is now close to finishing aprototype with propellers and a camera. They plan to begin testing it in alaboratory tank in the coming months. As development progresses, the team plans to addmicro-electromechanical sensors and a fiber optic interface, as well as prepareit for the high underwater pressures it will likely encounter. One way to handle these pressures is to build a very stronghull, but that could wind up being too heavy. Another possibility is to use alighter hull and place a bladder in the center filled with an incompressiblefluid that would support it from the inside. For instrumentation, the researchers have already built aminiature sonar, and detectors for conductivity, temperature and depth arebeing planned. 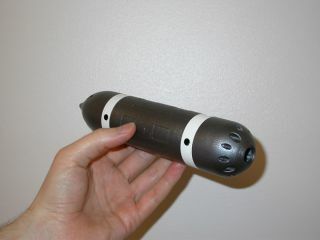 The mini-sub will also eventually carry chemical sensors thatcan detect hydrothermal vents, which may harbor life in otherwise hostileenvironments, Jonsson said. To zero in on a vent or other scientific target, theresearchers plan to control the submersible (as well as receive data) through afiber optic cable. The advantage of optic fibers is that they are thinner andmore flexible than copper wires. They can also send data at higher rates andover longer distances. Ultimately, a remotely-controlled submersible could look forsigns of life under the icy shell of a distant world. "This could be a forerunner for technology that couldbe sent to Europa," Jonsson said. The design would need to change. For one, Europa's surfaceis colder (minus 160 degrees Celsius) than anywhere on Earth. And somescientists have suggested that a subsurface ocean on Europa may be highly acidic. Regardless of what challenges a potential Europa mission mayoffer, this research may provide one vital lesson. "We are investigating how small and light a submersiblecan be built, which could be very important for space travel," Jonssonsaid.